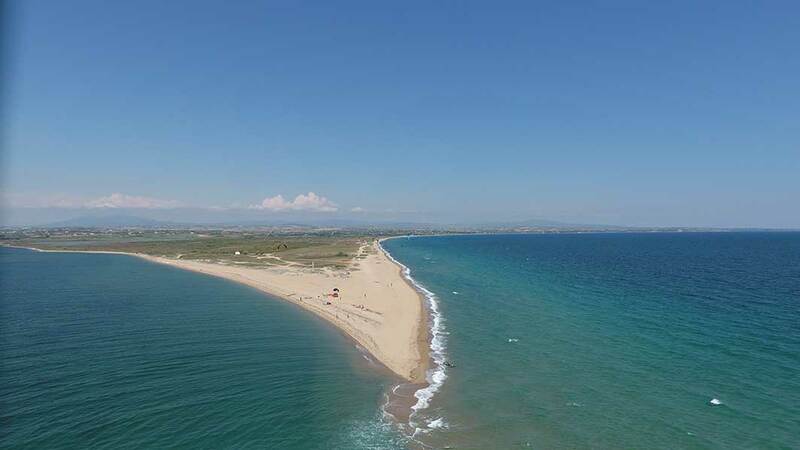 Our spot is situated in the lengthy sandy beach of Potamos, between Thessaloniki and Chalkidiki south of the small town of Epanomi. The distance from the town’s center is just 30kms which makes it ideal for a quick escape. Potamos for sure is the nicest beach in close proximity with Thessaloniki. During the spring and autumn is very calm and relaxed without many people, ideal for quiet vacations & during July – August it becomes busier. The spot has ideal conditions for beginners in windsurfing & kitesurfing with frequent thermal winds of up to 15 -20 knots, which are usual throughout May to October. During the winter we have north winds up to 40 knots. Sea kayaking & sup tours and rentals are also available on the station.